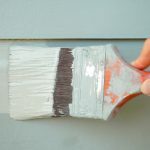 With 2019 right around the corner, we have started to think about what to expect in the residential and commercial painting market. At New Approach we specialize in creating custom finishes whether you’re looking to bring an exclusive look to your home, are upgrading the interior of your business, or are in process of opening the next hottest spot in KW. Venetian plaster has been used to finish walls since ancient times and traditionally achieved its effect through the use of unique materials by skilled craftsmen. The Romans practiced mixing lime plaster with marble dust as a delicate application over coarse lime and aggregate. New Approach uses the same ancient techniques but with modern synthetic plaster and artisanal craftsmanship. There has been a resurgence in Venetian plaster in homes with an appreciation for natural materials and exquisite style. To have a Venetian plaster wall or full interior is like living in a painting. 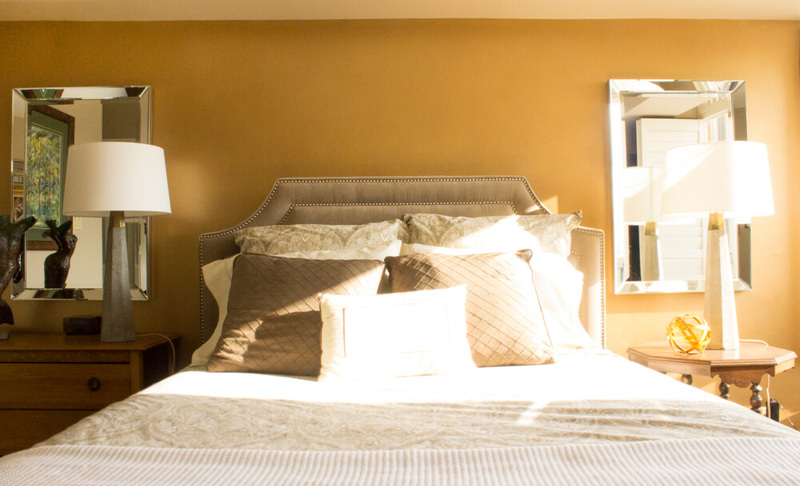 The look is soft and translucent with an earthy warmth that transforms a space. We think Venetian Plaster pairs well with minimalist or modern spaces and we recommend using neutral tones like white, grey, beige, gold, and black. However, the colour options are endless and are not limited to neutral earth hues. Geometric design started to come back in popularity in 2017 and the trend will continue into 2019. We are seeing it incorporated into home decor via: wallpapers, furniture, lighting, and accessories. But what better way to make a big statement than with geometric walls! You can experiment with this look by playing with different shapes, sizing, and colour. Go with a neutral colour palette (greys) in a busy space or vibrant strong hues to liven things up, or create an interesting backdrop to an understated space. 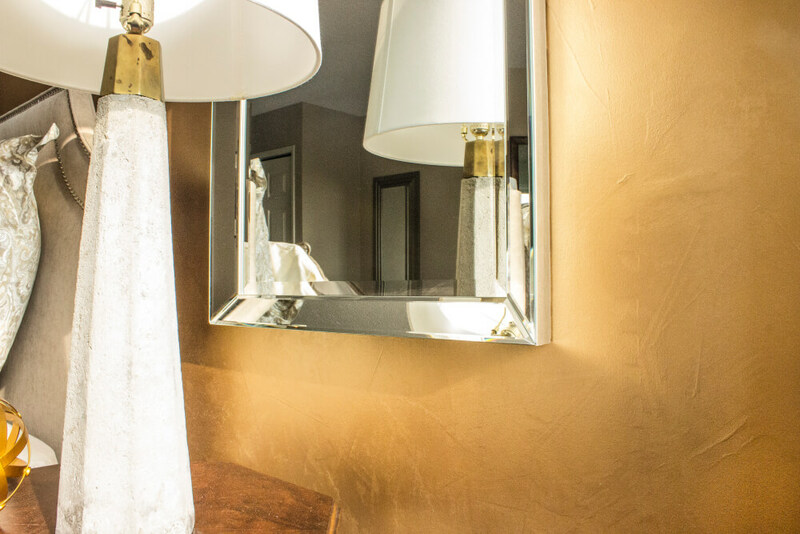 Metallic finishes are ideal for feature or accent walls. Residential applications include hallways, bedrooms, and living spaces. 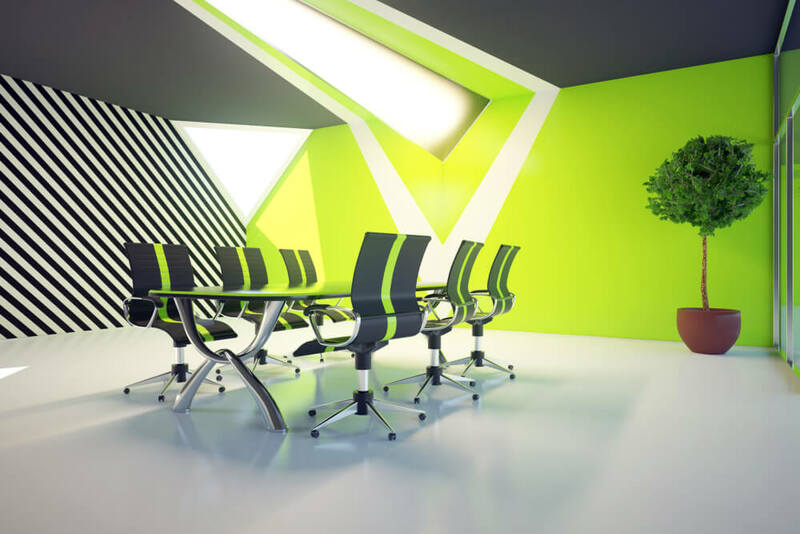 While commercial applications could include: entire rooms, multiple feature walls, architectural features, ceilings, doors and trim. You can go with a satin or matte finish with the knowledge that both options will add a luminous luxury to your interior. 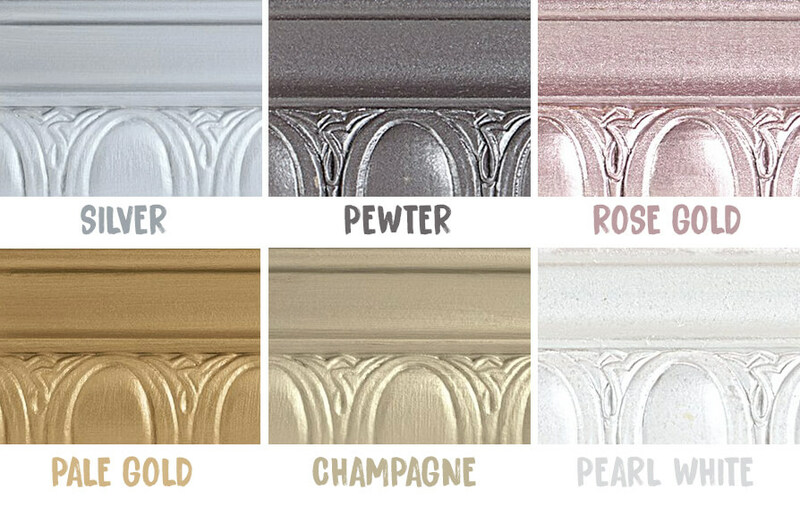 Our favourite hues are: Silver, Pewter, Rose Gold, Pale Gold, Champagne, and Pearl White. 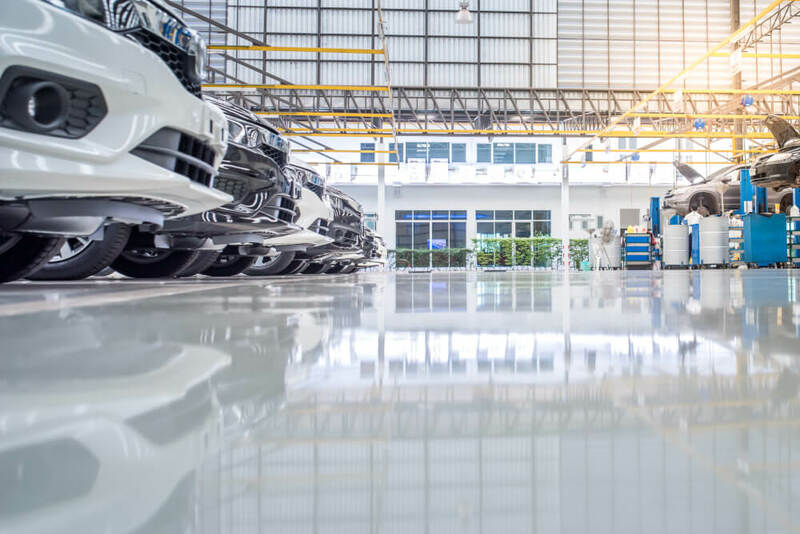 Epoxy coated floors can be used for residential and commercial applications to achieve a clean, modern, and industrial look with extreme durability. In people’s homes we have coated garage and basement floors (concrete) to prolong their life. The benefits of epoxy coatings for home application is durability and waterproofing. We have performed similar work for a variety of businesses, large and small, from mechanic’s workshops to industrial kitchens and bathrooms, to factory areas. For commercial applications the key features include traffic, chemical, and pressure resistance. We also recommend stair applications for commercial spaces to add increased wear protection in areas of high traffic. The team at New Approach Painting hopes that we have inspired you with ideas to update your home or business in 2019. Contact us today to start the conversation.